This morning started at about 4am. I was awakened by my darling daughter babbling next to me. I tried to ignore the cuteness but in the end Makenzie prevailed. I got up and changed her diaper and realized that she was not the only one that was awake. I had 5 little boys downstairs that had decided it was also time to be up..... ah no! I made them all lay back down and had to re enforce several times before they all managed to drift back to sleep. I could not convince Makenzie to do the same however. I took her in the other room and turned on cartoons, where she was happy while mommy tried to catch a few more zzzz's. Makenzie had a great ABM lesson with Tanya today. She started very tight and left loose and remained that way for the rest of the day. She rolled a bit more today which was really nice to see and hung out on her back with her head on the floor for a good long time. For the last few days I have been really struggling with what to do in regards to ABM. During our lessons in CA at the Anat Baniel center I was able to talk very candidly with Anat about my concerns. It is very hard to explain but ABM is very different from the traditional versions of OT and PT. The 2 methods do not work well together. So to make a long story some what short Makenzie has many therapists that love her very much and are a HUGE part of our lives. Makenzie has made much progress with these therapies. 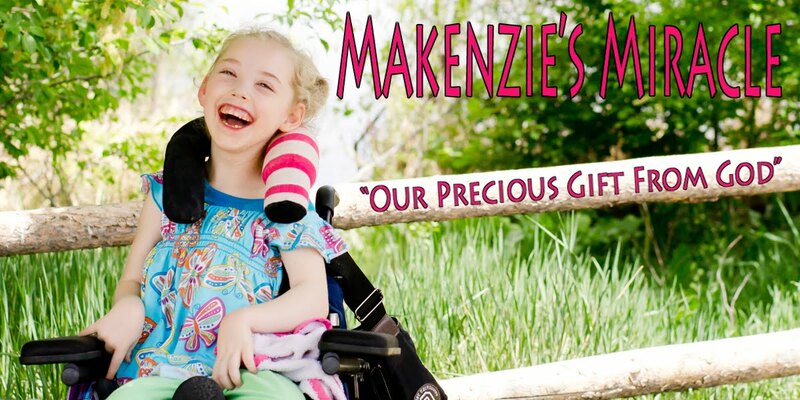 Makenzie is doing WONDERFUL but has a long way to go. The Anat Baniel Method has also produced many wonderful results too. It is new and different and is working on some things we have not seen much progress on in the last 3 years. This method is not a quick fix like anything else that there is out there for brain injury. It costs money, and takes time, some of which needs to be spent out of state away from my boys. It means making big dicisions. The decisions that I have been wrestling with for the last few days. I am not very good at sitting and listening to God but I realized the only way to hear God through all of the voices was to be still. So I did. I sat and asked God to make his voice clear. "Now glory be to God, who by his mighty power at work within us is able to do far more than we would ever dare to ask or even dream of -- infinitely beyond our highest prayers, desires, thoughts, or hopes." God held me. God gave me peace. God reminded me that I do not have to figure it all out today. God picked me up, pulled up my bootstraps and threw me back over His shoulder. He is in charge and I am done trying to figure it out. We leave for Costa Rica in 1 week.... that is what I need to concentrate on. Even though I do not understand why bad things happen to good people or why life is so unfair sometimes I do know what it feels like to be held through the hardest parts of this journey. God is here and promised He would never leave and He wont!